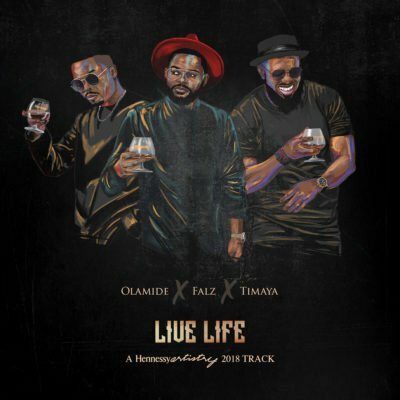 Hennessy Artistry super artistes, Olamide , Falz and Timaya teams up to deliver this banging tune they tagged “Live Life“. On this jam they serve us with the proper way to live life, chop life and enjoy life to the fullest before life leaves us. Just like “ Dance Go” by 2Baba and Wizkid this new jam “ Live Life” is ready to take over your playlist and party with its potentials.